The adventures continue in book two of the captivating and hilarious chapter book series from beloved middle-grade author Suzanne Selfors. Pearl doesn’t mean to be a troublemaker. Trouble just seems to find her. Pearl Petal and Ben Silverstein can’t wait for their first official day as apprentices of Dr. Woo, veterinarian for imaginary creatures—that is, until they are tasked with clipping the sasquatch’s toenails. Gross! Then Pearl spots a monster in the lake behind the hospital. Even though they were told not to leave the building for any reason, Pearl sets off for a closer look, with Ben trailing cautiously behind. The outing goes awry when Ben is captured by the creature and held hostage on an island in the middle of the lake. It’s up to Pearl to hatch a rescue mission. Will she save the day or cement her reputation as the town troublemaker? And will the hospital’s secret patient be able to help? In this fun-filled series, Suzanne Selfors takes readers on an incredible adventure full of mythical creatures and astonishing discoveries that are anything but imaginary. The adventures continue in book two of the captivating and hilarious chapter book series from beloved middle-grade author Suzanne Selfors. Pearl doesn’t mean to be a troublemaker. Trouble just seems to find her. Pearl Petal and Ben Silverstein can’t wait for their first official day as apprentices of Dr. Woo, veterinarian for imaginary creatures—that is, until they are tasked with clipping the sasquatch’s toenails. Gross! 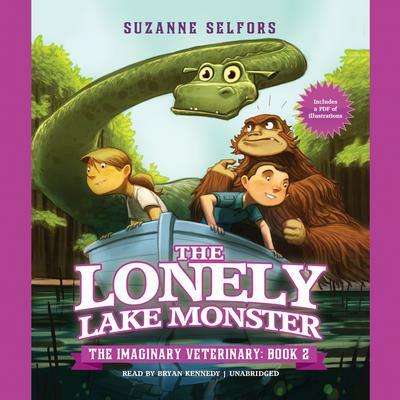 In this fun-filled series, Suzanne Selfors takes readers on an incredible adventure full of mythical creatures and astonishing discoveries that are anything but imaginary.